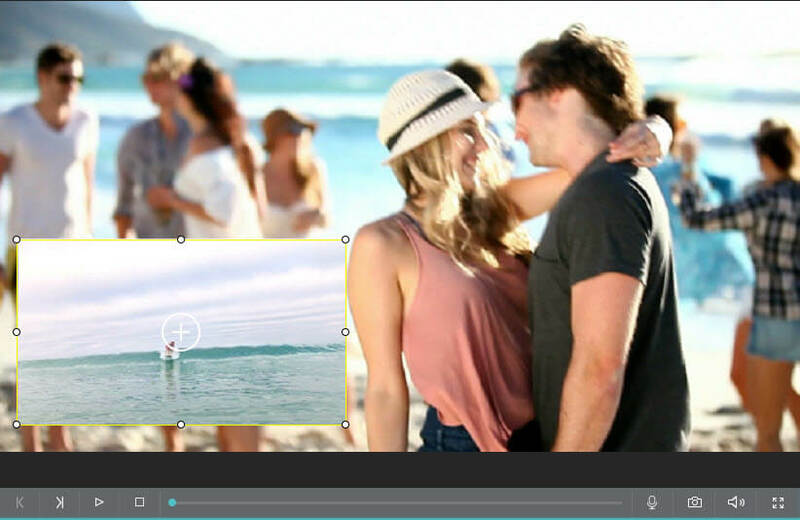 Quickly edit MP4 videos on Windows/Mac with advanced editing tools. If you need a more professional MP4 video joiner, Wondershare Filmora is highly recommended. Filmora is one of the best video joining software for both Windows and Mac users. It supports a wide range of video formats including MP4, FLV, MOV, AVI, WMV and more. Using Filmora, you can join and merge the mp4 video files easily, just drag and drop the videos to the timeline in sequential order and then click “Export”. With Filmora, you can not only join different videos together, but also add transitions and other effects as you like. Filmora allows you to join videos in different formats into one video and export to MP4 and other formats. You can cut the unwanted parts in each mp4 clip first and then join the remaining clips into one. More detailed information about how to join mp4 videos with the Split Screen effect. With Filmora, you can also use one video as an overlay and put it over another video clip just like a video clip is embedded into another. This freeware is crucial for video joining and also works as the GUI component of some other tools. An example of these other tools is the FLV tool. You can conveniently split whatever files you need to make changes on and proceed to merge them again as necessary for you. It also avails a lot of shortcut keyboards to make its operations easier. May come with the requirement for your system to have Windows Media Player. 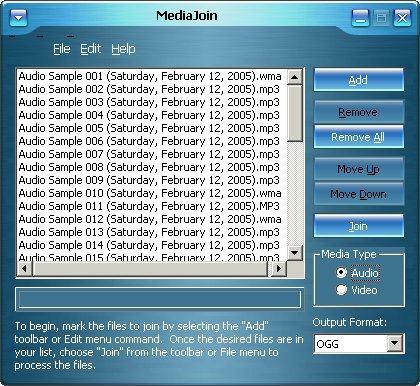 This free joining software supports such formats as MPEG-1, MPEG2, WMV, MP3, AVI, OGG, WAV and WMA. To use this freeware, you simply need to select the files, choose the output device and then its ideal format. Be sure to specify the video codecs if this is necessary. easy to use based on its interface. May not work on Windows 7 and Vista. This is a free tool which, as the name suggest, enables you to join two or more videos together. With this freeware, you can easily join several video files of different formats and this no doubt makes your work a lot easier. By clicking on the add button of the program, you will be able to add the videos that you wish to join. You then need to determine the output directory and format and then proceed to join. Some of the output formats supported are WMV, iPod, DVD and MP4. It is ideally comprehensive converter software that will enable you to join the videos as you may wish. Through its multi-thread technologies, the converter offers batch conversions which can significantly speed up the process for you. When you need to work on video, you will be able to extract segments, crop images, perform embedding of subtitles and even preview the results. Can be difficult to crack the first time you use it. How to join mp4 videos with Filmora on Windows? Filmora allows you to import mp4 clips to the media library in several ways, you can directly drag and drop the clips to the media library in the left windows, or click the Import button and select from Import media files, Import a Media Folder, or Import from Camera or Phone step by step. In the media library, you can drag and drop the mp4 videos to the video tracks in the timeline. You can do that one by one, or select them all first and drag them to the video track. Place the timeline playheader at the beginning of the first video, and click the Play button in the Preview window to check if there is any need to re-order the clips. You can also right-click the clip to cut or delete it from the timeline. There are more than 300 video effects including filters, transitions, overlays, texts and elements available in Filmora. You can add any of them to make the video more fabulous. If you are satisfied with the joined mp4 video, just click the Export tab to export it. You can save the joined mp4 videos to other formats such as WMV, AVI, MOV, MKV and F4V in different video resolution or bit rate. To get know more details about Filmora features, check the introduction video below. Download Filmora and have a try to join several video clips now. Most of the above free mp4 joiners are for Windows users, if you are looking for MP4 Joiners on Mac, you can check our article how to join MP4 files in Mac OS or how to join clips in iMovie. But you can always use Filmora to join MP4 videos for you can use it on Windows and Mac both.